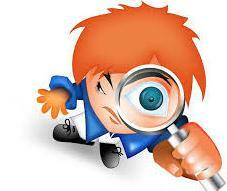 Get To Know When last Google Crawled/Visited Your Website or Web Page. Because Google do not crawl the web on real-time basic, every time Google visit a website or page for the purpose of crawling, they take a snapshot of the website and store cache files. Thus, knowing when Google's cache file was created gives insight to knowing when last Google visited a website/page. Is it possible to know the date a Google cache file/snapshot of a website was created? Yes! The search operator cache: when used in conjunction with the website/page URL in Google's search box at www.google.com will bring it out. So if you want to know when last Google visited your website/page the follow these steps. 2) Type cache:followed by the URL of your website/page without space. Example: cache:www.pinfoltd.com. The result that will appear will be a snapshot of how the website/page looks like when Google last visited it, and the date of the snapshot will also be displayed at the top of the snapshot. Note: If you use your top level domain/URL to perform the search (e.g. wwww.yoursite.com) and the result shows that you have published some webpage(s)/articles after the date Google last visit your home page does not mean that Google have not visited/crawled those new webpage/article you published to your website. Remember Google does not depend on your website homepage to get other webpages that are in your website. Also be informed that not all webpages google crawled are cached, so it will be best to use your top level domain when performing this action.